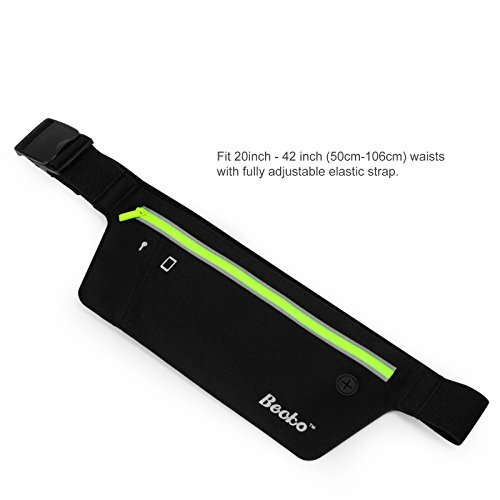 Premium Quality Materia ------ Made of high tech spandex-lycra blend material, Becko's running belly pack is durable and washable, ideal for leisure and all outdoors activities. 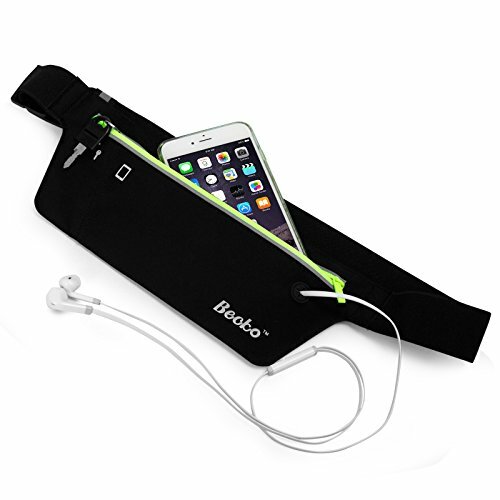 Expandable to fit waist sizes from 20 inch to 42 inch (50cm-106cm). 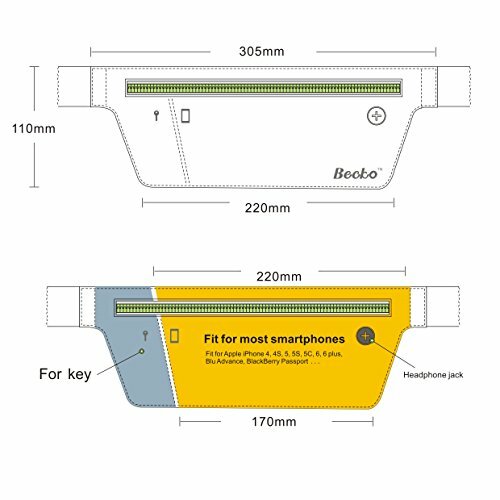 Small Key Pocket & Waterproof Earphone Jack ------ With an interior small pocket, your keys or coins can be stored separately, preventing your phone from being scratching. 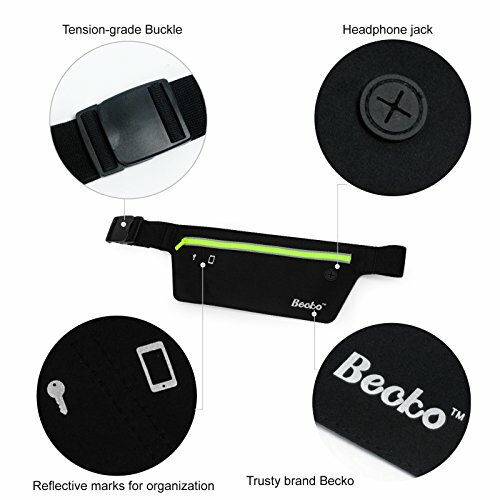 A waterproof earphone jack is designed to easily slide your earphones through the gym bag, letting you enjoy the music while you are on the go. Waterproof Fluorescent Green Zipper ------ Catchy fluorescent green zipper is waterproof, keeping your belongings secure inside. Reflective strips and tabs on the front pockets are for high visibility, keeping you more safely when running or walking at night. 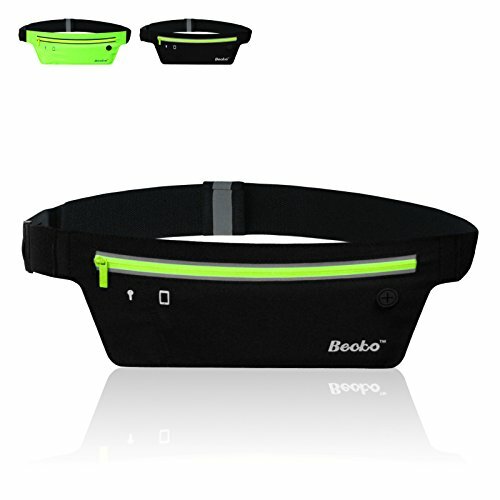 High Stretchable Waistband & Tension-grade Plastic Buckle ------ Adjustable elastic waistband allows for a snug fit that stays in place without bouncing or chafing during use. Easy for buckling and comfortable for wearing. 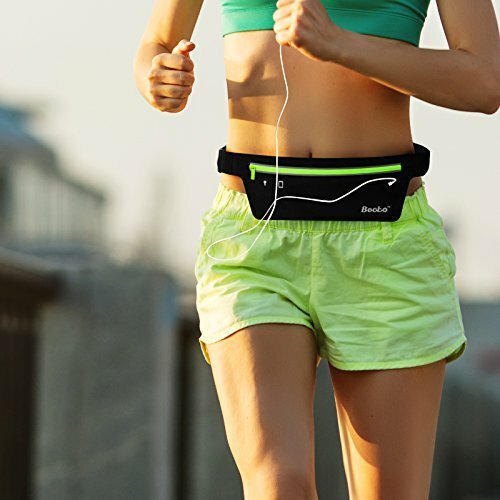 Occasions for Usage ------ Best waist pack belt for running, walking, hiking, cycling, mountain biking, dog walking, gym workouts, or just use as a money belt. Cross your body or waist to avoid pickpockets in crowded areas and keep your hands free. Black color is modern and easy matches to any of your athletic wear and running shoes. 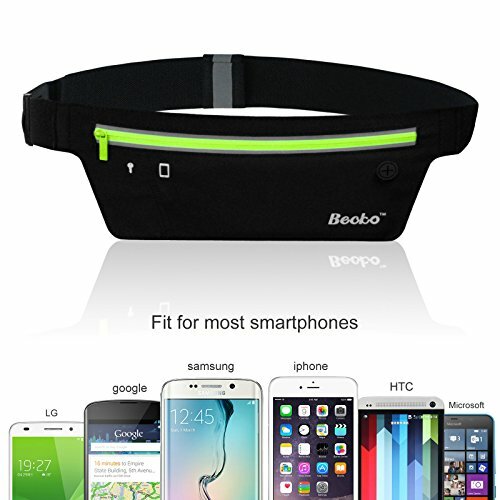 Made of premium quality lycra fabric, Becko's sport running waist bag is sturdy and lightweight. 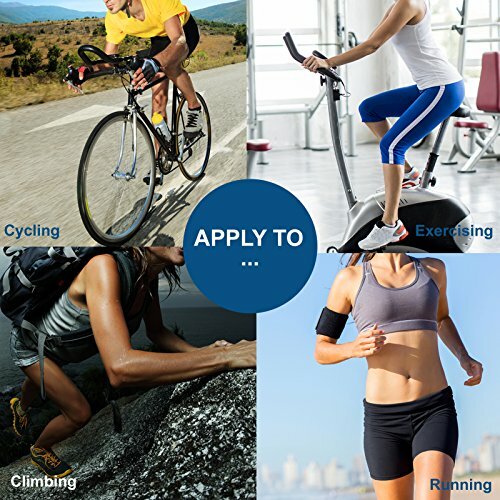 With waterproof design, your belongings can be kept safe inside while you are doing exercise at home gyms or outdoors. The main pocket can tuck away your valuable phone, MP3/MP4 players, credit cards or dollars securely. An inner small pocket holds your keys separately, preventing your valuable device from scratching or damaging. Waterproof earphone jack allows you to listen to the music or answer the phone conveniently. 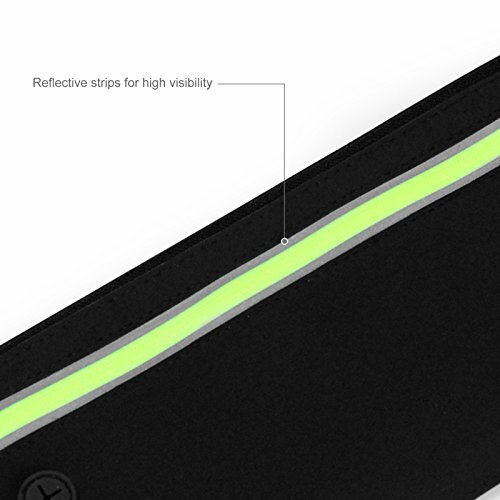 Reflective strips and tabs allow for high visibility at night and keep you safer when you're out at night.